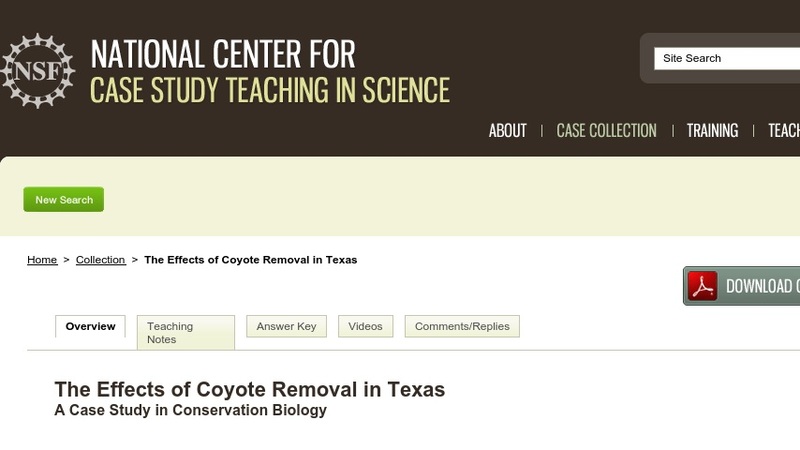 This interrupted case study presents published data on the effect of coyote removal in Texas. It was designed to help students in introductory level biology courses understand trophic level relationships and the role of keystone species. Students interpret data presented graphically and predict how changes at one trophic level may affect populations and communities at other trophic levels.